Off to the Doctor’s and Phlebotomist. 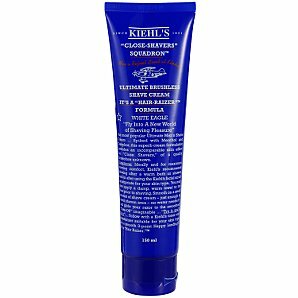 This entry was posted in Elegantology, Uncategorized and tagged Grooming Products, Kiehl's, Trader Joe's. Bookmark the permalink. 4 Responses to A Quick Scrape. i’ll add my endorsement to the blue eagle shaving cream- its well worth the high(er) price. i have never had a better shave at home. Great product tips, even a womam can use!! I highly recommend the King Of Shaves AlphaGel. It forms a non-foaming slippery surface, moisturizes, smells good (tea tree oil & menthol), and is very affordable. Sometimes available at the dreaded Wal-Mart. CallMeAl, I’ve always been a little leery of menthol for some reason. But I’ve packed and used that King of Shaves when I forgot cream on vacation. It did the trick and did smell great.